Not long after word has come down that CW would not be moving forward with a second season of The Tomorrow People, Mark Pellegrino has already found his next role. The Lost alum will be reuniting with Carlton Cuse for A&E's planned adaptation of the French drama The Returned. 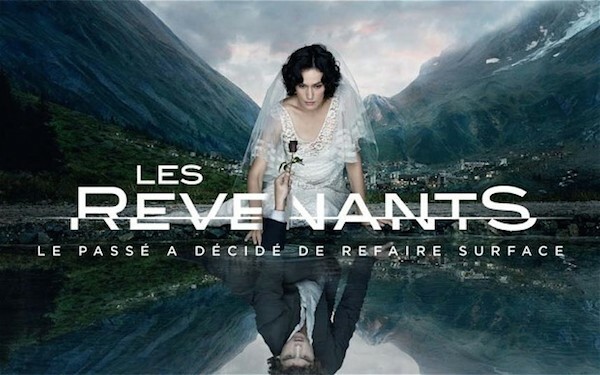 Last last month, we learned that A&E had given a 10-episode order for The Returned, a drama from True Blood's Raelle Tucker and Lost's Carlton Cuse, based on the French drama >Les Revenants. This week, Deadline reports that Mark Pellegrino has joined the series. He'll play the role of Jack, the father of two teen twins who were killed in a school bus accident four years ago, and are among the people why mysteriously return from the dead, now twenty years old. Word that Mark Pellegrino has joined the cast of The Returned is the first big casting update we've heard about the A&E series. As mentioned, the actor is coming off a run on CW's The Tomorrow People, in which he played Dr. Jedikiah Price. With The Tomorrow People cancelled, that leaves Pellegrino free to pursue other series, and it looks like it's a return to basic cable. Among his other recent credits, Pellegrino recurred as Bishop in Syfy's Being Human and he played Jeremy Baker in Revolution. Both series were cancelled this year. Pellegrino has also recurred as Lucifer on Supernatural and he recurred as Gavin Baker on The Closer, but it's likely that he's best associated with his role as Jacob on Lost. And it's that connection that seems most relevant here, factoring in Lost writer Carlton Cuse, who's been keeping busy on basic cable himself. He's executive producing Bates Motel already for A&E, and he's also credited as an executive producer for FX's upcoming drama The Strain. Factoring in his experience and demonstrated talent with past roles, Mark Pellegrino's casting is a really positive sign for The Returned, and hopefully this is an indication that we'll be hearing more great casting news about the A&E drama in the near future. In the meantime, those who want to check out the series on which The Returned is based can find it on Netflix.